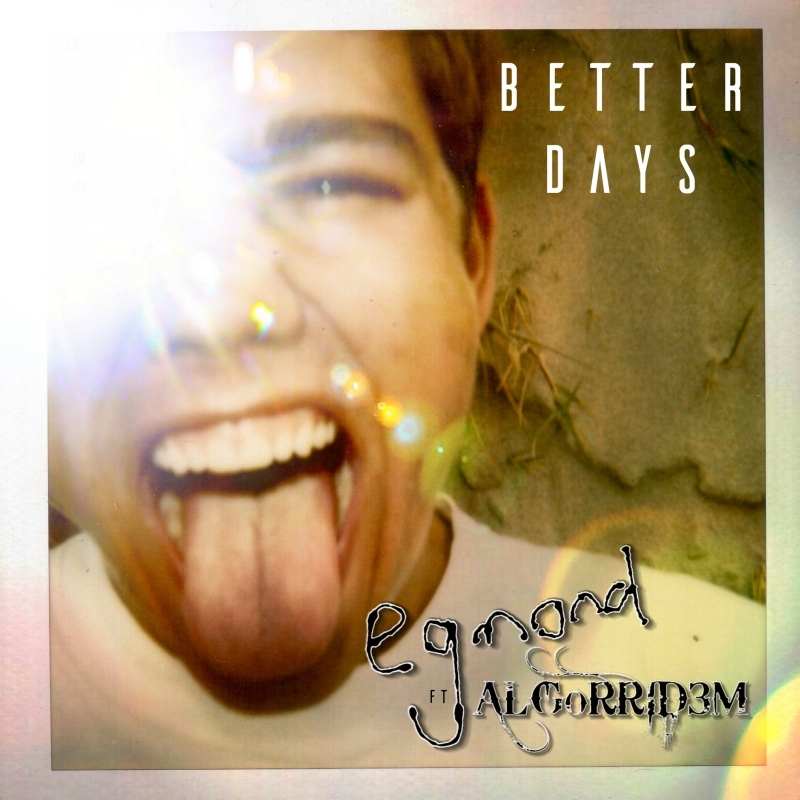 Egmond's first English single in 3 years is the brand new smash hit Better Days, in conjunction with EDM artist Algorrid3m. Originally destined to be recorded in English way back in 2013, when the two artists met online, the song Better Days soon joined Egmond's Afrikaans album Vuil Wasgoed in 2014 and was released as a single titled Paradys. The original English demo sounded a bit tired back then, so the song was shelved in favour of the Afrikaans version. However, the track soon garnered favour online when friends and fans requested that the English version be released. Fast forward to 2017, and Better Days finally returned to the studio with rewritten lyrics. Says Egmond, "Algorrid3m and I was out of touch for a good 2 years. Our last collab was 2015's DJ, which turned out brilliantly. But this song was always the one that connected us, so it was great to finally get it done and try out what was originally intended to be. It was recorded in secret without telling anybody apart from producer Sandy Robbie, who began work on the track in June 2017. The moment I received the first rough sample, I finally contacted Algorrid3m to let him know it was happening at last! He was thrilled. As was I." The lyrics, according to Egmond, were inspired by the Netflix series "13 Reasons Why". Egmond said that he associated very much with the essence of the series and was very inspired when he wrote the lyrics to the song, as he understood the struggles the characters faced as teens. "I guess with what I wrote, it was sort of like a plea to not give in whenever things aren't going the way you want them to - but to find paradise in the sky. And live better days, as in the lyrics." Says Egmond, "the song's superb production actually changed the direction of the follow up single Koebaai's sound which is something I'm looking forward to completing." The official music video was released at the end of November, while preceded by the its lyric video and actual single on Friday the 13th (of October). The lyric video features a selection of ThunderCats and Masters of the Universe action figures holding up the lyrics, which also ties in with the music video's 80's-inspired theme. A remix of the single, titled The Algorrid3m Remix, was released in November 2017. For more info, click here. In April 2018 Better Days was featured as the Attention Grabber on HOSA Radio, eligible for the station's English Top 10. The following week the song entered the Top 10 in the number 3 spot. Following the success of the single on the station, the music video became an overnight sensation and garnered its first 10 000 views within a week of its debut in the Top 10. Following this, the song went to the top of the Hosa Radio English Top 10 in the last week of May and stayed in the charts for an impressive 18 weeks. As a result of the song's (semi-delayed) success, the planned greatest hits album's tracklisting was revised. The album Sirkus Applous was originally only going to consist of Egmond's Afrikaans hits. It's inclusion resulted in the replacement of it's Afrikaans counterpart Paradys.